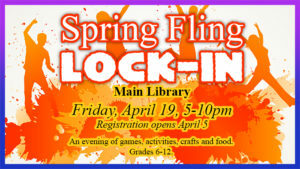 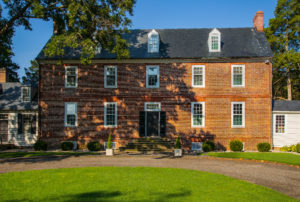 6580-B Main St., Gloucester, VA 23061, 6580-B Main St.
Spring Fling Lock-In Friday, April 19, 5-10pm, Main Library Registration opens April 5 An evening of games, activities, crafts and food. 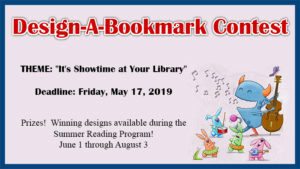 Grades 6-12. 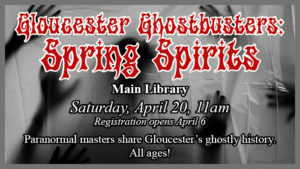 Gloucester Ghostbusters: Spring Spirits Saturday, April 20, 11am, Main Library Registration opens April 6 Paranormal masters share Gloucester's ghostly history. 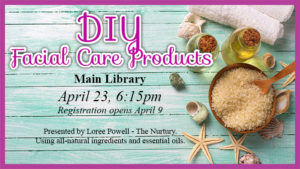 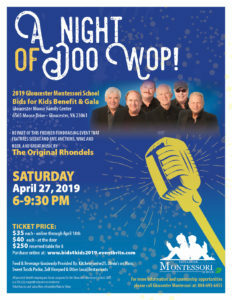 All ages! 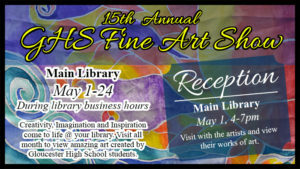 15th Annual GHS Fine Art Show May 1-24, Main Library During library business hours Creativity, Imagination and Inspiration come to life @ your library. 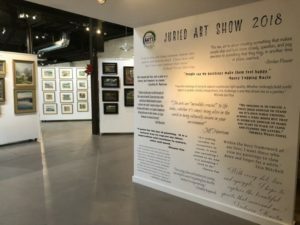 Visit all month to view amazing art created by Gloucester High School students. 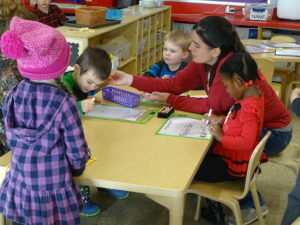 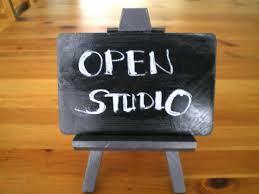 Reception May 1, 4-7pm, Main Library Visit with the artists and view their works of art. 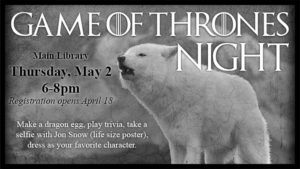 Game of Thrones Night Thursday, May 2, 6-8pm, Main Library Registration opens April 18 Make a dragon egg, play trivia, take a selfie with Jon Snow (life size poster), dress as your favorite character.